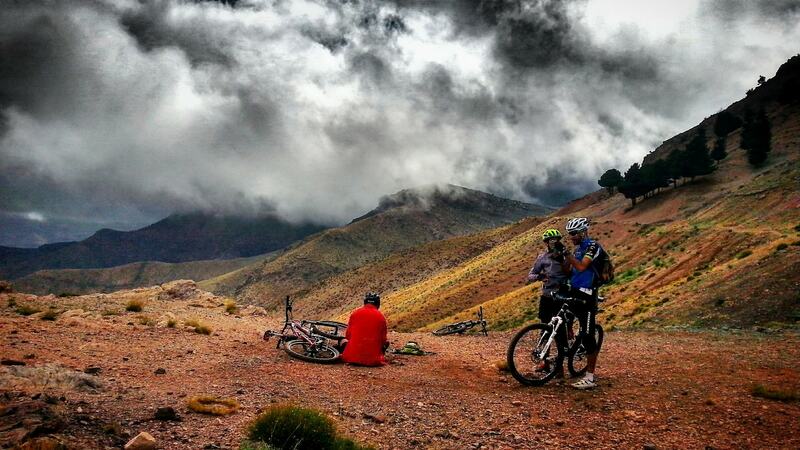 Enjoy a scenic, full-day adventure as you peddle through the Atlas Mountains where the picturesque scenery leaves you breathless. Choose from a variety of trails that are suitable for any ability and get a rush of adrenaline as you race down the paths and up to the crest for incredible views. Start your day with a convenient pickup from your hotel, then enjoy the ride to meet your guide. After they go over your itinerary, a few safety rules, and get you fitted with a quality mountain bike and helmet for safety—begin your ride through the mountains. Enjoy spectacular views of the Atlas Mountains and surrounding scenery as you race down a trail picked to fit your ability level. Feel confident following your expert guide and reassured by the ATV support that is always on hand. At lunch, stop for a picnic in a place with a breathtaking view, drinking enough water to quench your thirst. With a new burst of energy, set off down the trails again. Bring a camera to take some memorable photos of beautiful valleys, dramatic waterfalls, and the panoramic views from the high crest, before cycling back to your pickup point and returning to your hotel.